This course is part of the Italian for Beginners program, which will enable you to learn Italian as you discover the culture of Italy . During the four weeks of the course, you will learn vocabulary and expressions to talk about what you do during a normal day, and learn the present tense of regular verbs ending in -ere and -ire, as well as some irregular verbs such as andare (to go) and uscire (to go out) and venire (to come). You will also talk about your leisure habits and things you do regularly, using reflexive verbs. By now, you will find that you are getting more confident in your listening, and you will continue to work on your speaking, reading and writing skills too. 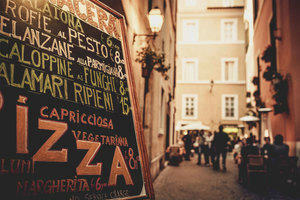 You will find out about meal times and eating habits in Italy, and about bike-friendly towns. This course is aimed at people with little prior knowledge of Italian, who want to learn the basic language and find out about Italy and its regions and culture. 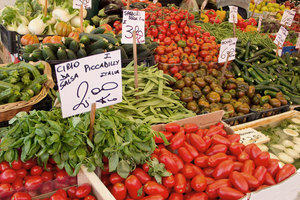 The course assumes that you have already studied the previous two courses in the Italian for Beginners program. This course is taught through English. 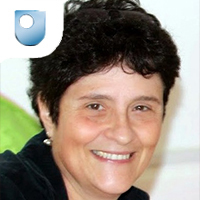 Lecturer in Italian at the Open University, author of Italian course books. I'm Scottish but learnt Italian in Italy when young. I love singing, dancing and travelling around Italy. OU associate lecturer and materials writer. 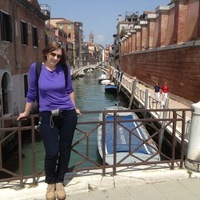 I have written materials on business communication, Academic English and Italian. You can use the hashtag #FLItalian to talk about this course on social media.